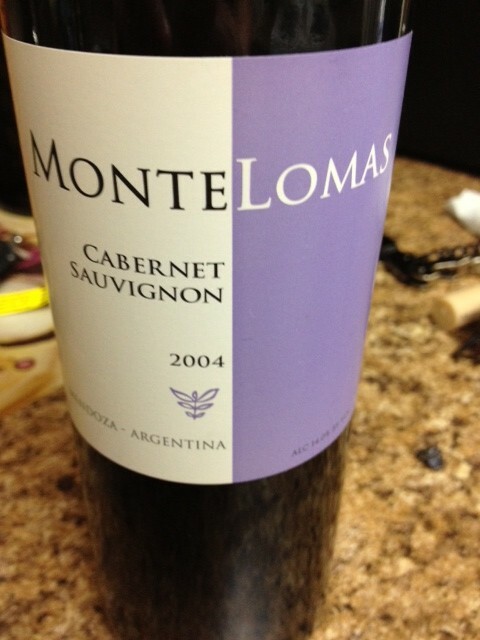 Finding an 8 year old Cabernet for $15.99 at Whole Foods is pretty sweet! I decided to give this bottle a little while to breathe before trying it since it is an ’04. This smells like blackberries, currant, mocha, pine, and nutmeg. The mouthfeel is smooth and the finish still has tons of grip and intensity. I was hoping to get more fruit and not as much tannin and tree bark. Definitely wondering how this one will taste in a year or two and I may pick up a bottle to try it when it’s turned 10 (in 2014!). This is a wine that needed food and was a bit much on its own. If I had some bacon wrapped dates here, I think the pairing would have been very nice!